While this is our main focus, The Garage Project, the one-stop shop for garage interiors, also features storage, organization, flooring, cabinets, wall panel systems, and decorations for many other places other than the garage. 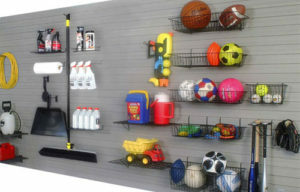 Garage Products work well in the basement or boathouse. Organize your laundry and pantry. Try some accessories for the office or work shop. Re-do your storage shed or tack room. We provide the lowest prices on the web for all the products you will need to decorate, store, or organize any space. Check out the articles on organization and ideas for help with your space. Also, take a look at the many files we’ve added to individual product pages to help you learn about our products, install our products, and provide you with technical information. Feel free to download whatever information will help you put together your newly organized space. We also hope you enjoy The Garage Projects shown in the Gallery. If you have a finished Project, send us a picture of your decorated or organized garage, closet, pantry, laundry room, man-cave, or any other room and we will print it. We’ve Been Doing This for 14 Years. 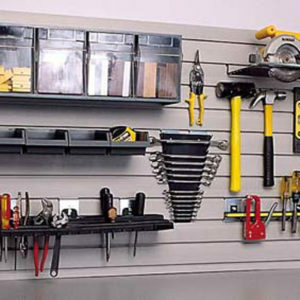 We Can Probably Answer Any Question You Have About Garages and Organizational Products. 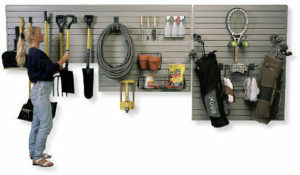 Garage Wall Storage is versatile and allows you to organize whatever space you have available.